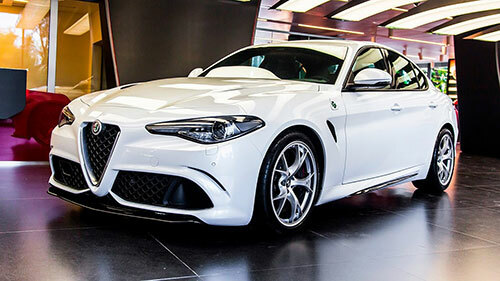 When you are looking for an Alfa sedan in the United States, you only have one option – the 2018 Alfa Romeo Giulia. Seen as the entry-level vehicle of Alfa, you can rest assured that you won’t feel this way as soon as you try it. 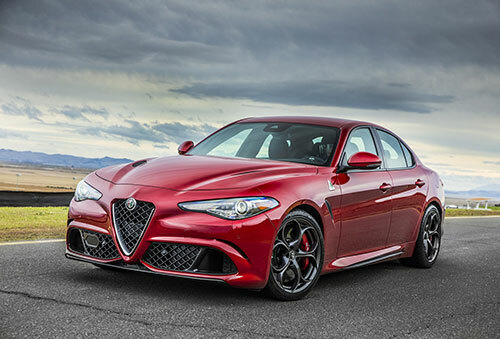 After all, the 2018 Alfa Romeo Giulia is a good-looking sports sedan that is simply amazing and delight to drive. Take a look at other powerful 2018 sedans. Let’s take a look at what you can expect of the 2018 Alfa Romeo Giulia. The good news is that the 2018 Alfa Romeo Giulia is already for sale. The standard 2018 Alfa Romeo Giulia price starts at about $40,000. The price is pretty good in our opinion since you will get a good price-quality ratio. The reality is that the exterior of the 2018 Alfa Romeo Giulia is one of the first reasons for you to buy it. There’s no question that the 2018 Alfa Romeo Giulia can really stand out among other sedans. Featuring a curvy shape, the 2018 Alfa Romeo Giulia is amazing no matter where you look at. 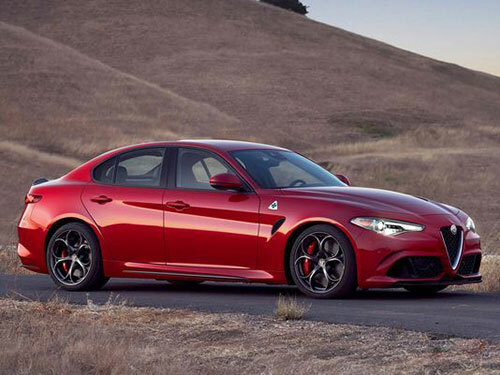 It’s just incredible how Alfa Romeo designers were able to make the 2018 Alfa Romeo Giulia curved in places where other designers would have strong angles. Nevertheless, the 2018 Alfa Romeo Giulia doesn’t look big as you may expect from all the round shapes. Looking at the front of the 2018 Alfa Romeo Giulia, you will have a well-integrated signature shield grille that is flanked by standard HID. However, LED headlights are optional. 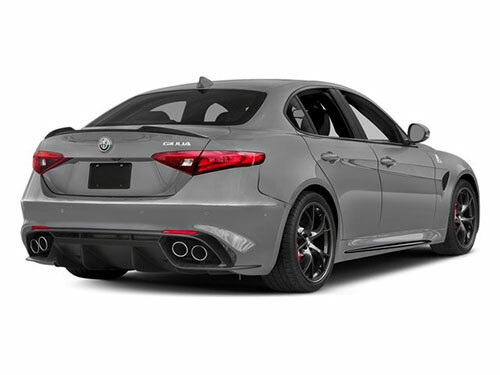 On the back, you can count on some narrow taillights which, even though they are common on other sedans, it seems that they were made specifically for the 2018 Alfa Romeo Giulia. In case you decide to buy the 2018 Alfa Romeo Giulia, you will be able to choose between 3 different trim levels – the Base, the Ti, and the Quadrifoglio. This last trim is competing directly with both Mercedes AMG C63 and with BMW M3. 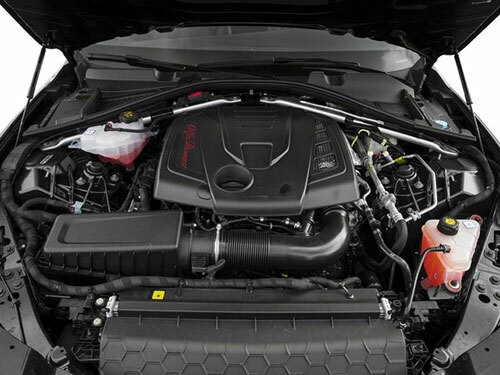 Under the hoods, the standard 2018 Alfa Romeo Giulia comes with a powerful 2.0-liter turbocharged I-4 engine that is capable of producing 280 of horsepower and capable of producing 306 pounds per feet of torque. However, if you want to spend a bit more, you can also get the 2.9-liter twin-turbo V-6 engine which is able to produce 505 of horsepower and 443 pounds per feet of torque. In terms of the transmission, both engines come with an eight-speed automatic gearbox. One of the things that have been impressing many people who already bought the 2018 Alfa Romeo Giulia is the comfortable ride and incredible handling, not to mention the fast acceleration and good fuel economy numbers. One of the things that upset many Alfa Romeo fans in the last generation of the Giulia was the fact that it didn’t include either Apple CarPlay or Android Auto. However, with the new 2018 Alfa Romeo Giulia, they are already included. In addition, you will also find an 8.8 inches infotainment system as well as a Harman Kardon audio system that are included as standard on most variants. Even though the interior of the 2018 Alfa Romeo Giulia may seem the less appealing part of the sedan, you’ll be able to opt for Nappa leather as well as there are different trim finishes – aluminum, different woods, and carbon fiber. As we already mentioned, it’s a pleasure to drive the 2018 Alfa Romeo Giulia. This may be one of the reasons why front seat passengers have a great and wide view. However, the back seats seem to have been forgotten. They aren’t easily accessible and the room is quite short.